The boys golf team finished the regular season with a 5-7 record. The team finished in 4th place at the region tournament and qualified for the Upper State. The boys finished in 13th place at the Upper State tournament at Fox Run CC. Their 9 hole low score round was a 154 on March 30 at Fort Mill GC. The low 18 hole team score was 311 which came in round 2 of the region tournament at Rock Hill CC on April 25. Off season workouts will resume in September for the 2018 season as we look to move on to the State championship tournament next season! Charlie Rymer, former FMHS golfer and current co-host of Morning Drive on the Golf Channel, appeared at Fort Mill Golf Club on Saturday July 16, 2016 for a breakfast fundraiser for the boys and girls golf programs at Fort Mill High School. There were approximately 85 people in attendance that morning who came to hear Charlie speak about his time at FMHS and the great things that he went on to do afterwards at Georgia Tech, on the PGA Tour, and on the Golf Channel. 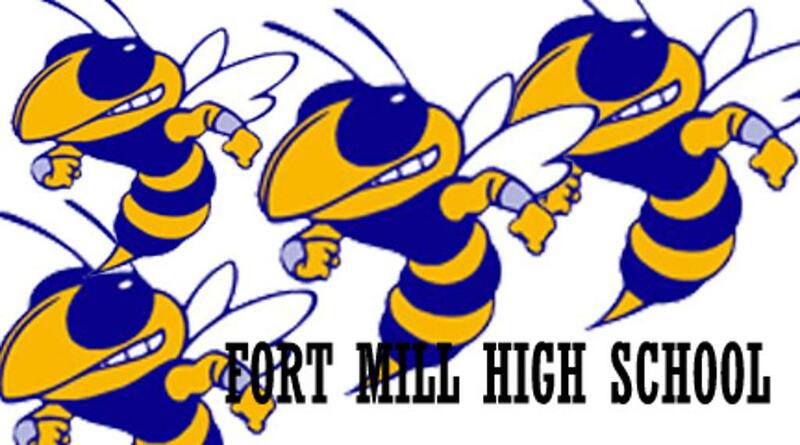 There were many donations sent in from others not in attendance that morning supporting our program as well and we thank each and every person who donated to support the boys and girls of the Fort Mill High School golf program! FMHS Online Apparel Store NOW OPEN!